Athens (AFP) – Greece has submitted an official request to the International Monetary Fund for a new loan as it seeks a huge third bailout from its creditors, the finance ministry said Friday. The debt-crippled Greek government, led by radical-left party Syriza, had initially planned to go without fresh help from the IMF as it considers the agency too wedded to draconian austerity measures. Tsakalotos said Greece was taking new steps to move ahead with talks on the bailout — which will be worth up to 86 billion euros ($94 billion) over three years — after parliament passed two laws enshrining a series of tough reforms demanded by the creditors, including tax rises and a pensions overhaul. “The Greek authorities have committed to implement a number of policies that would enhance fiscal sustainability, strengthen fiscal stability, sustain long-term growth and, importantly, spread the cost of economic adjustment in a fair way,” the finance minister wrote. “It is our belief that it will take several quarters before the Greek economy faces up to these challenges and returns to a vigorous and sustainable path to growth with fairness and social inclusion,” he added. 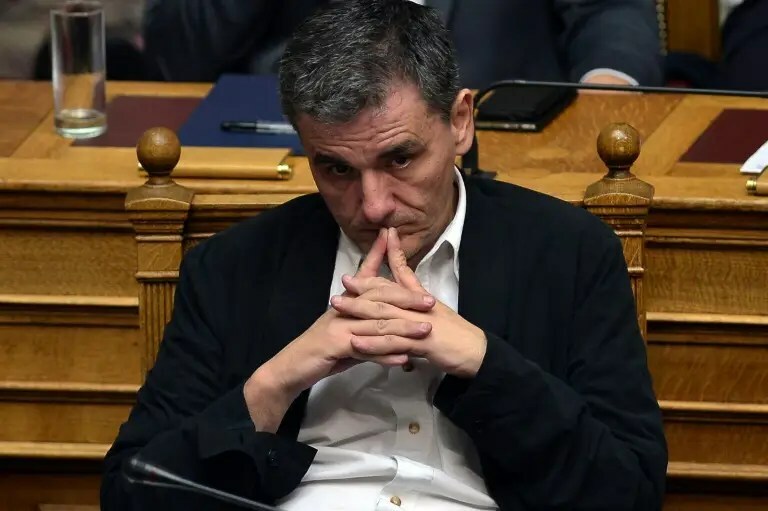 Tsakalotos noted that Greece, which has previously been bailed out twice by the European Union, European Central Bank and IMF, has already formally requested a new three-year loan from the eurozone’s bailout fund, the European Stability Mechanism. Greece’s existing aid programme from the IMF runs until early 2016, and a new request was not technically necessary. The development came amid an apparent delay in getting the ball rolling on talks to finalise the package, with sources familiar with the matter speaking of “logistical problems”. Greece had said on Thursday that negotiators would fly in to Athens on Friday to begin the talks, but by Friday the European Commission was saying representatives of the so-called troika of creditors would arrive “in the coming days”. #AceMarketsNews – LONDON (Reuters)July.24: FTSE 100 edged higher on Friday, slightly underperforming broader European equities, with positive results from Vodafone balancing an ongoing sell-off in the mining sector. Worries over emerging markets and Chinese growth have roiled commodity prices and hit the blue-chip FTSE 100 index, which is comparatively more exposed to natural resources and energy firms, harder than other pan-European indexes. But the second-quarter results season offset some of that impact on Friday, with the FTSE up 0.1 percent at 6,659.36 points by 1139 GMT. It closed 0.2 percent lower in the previous session. House-builders and property stocks also got a lift on a day when data showed mortgage approvals in Britain in June rose to their highest since March last year. Broker recommendations helped to put Land Securities and British Land among the top six performing blue-chips in the UK. “It’s pretty much driven by company results,” said Richard Hunter, head of equities at Hargreaves Lansdown Stockbrokers. Vodafone rose more than 4 percent after reporting an acceleration in its main quarterly sales growth as a cable TV acquisition in its biggest market Germany lifted sales and consolidated the overall return to growth for the world’s second-largest mobile operator. Pearson, the group selling the Financial Times in a $1.3 billion deal, initially gained but turned slightly negative after announcing an increase to its dividend and confirming guidance. Traders said the lack of an upgrade to its outlook was a negative for the stock. Diageo dropped 2.1 percent after the U.S. Securities and Exchange Commission announced an investigation into whether the liquor company has been shipping excess inventory to distributors to boost its results. Mining stocks saw more selling, with Lonmin slumping 11.5 percent and Glencore and Antofagasta down around 1.7 percent. Platinum producer Lonmin said it planned to close or mothball several mine shafts in a bid to survive plunging prices. However, miner Anglo American edged 0.8 percent higher despite a rout in metal prices and a profit warning earlier this month as it surprised the markets by maintaining its interim dividend. #AceMarketsNews – LONDON, July 24 (Reuters) – Euro zone business activity started the second half on a less secure footing than expected, even with continued price cutting, as euro weakness failed to boost export demand, a survey showed on Friday. The purchasing managers’ index (PMI), one of the earliest monthly economic indicators, could dampen hopes that European Central Bank bond-buying and the tumbling euro are boosting growth and driving inflation higher. Greece’s brush with bankruptcy meant July was a turbulent month for the euro zone, however, and Chris Williamson, chief economist at survey compiler Markit, said the readings could have been worse. Athens has now accepted conditions imposed on it by its international lenders and on Thursday parliament approved asecond package of reforms required to start talks on a financial rescue deal. level that separates growth from contraction since mid-2013. Williamson said the data provisionally pointed to third quarter growth of 0.4 percent, slightly weaker than the 0.5 percent predicted in a Reuters poll published on Thursday. Second quarter growth is forecast at 0.4 percent. [ECILT/EU] But as they have since early 2012, firms cut prices, although only slightly this month. The output price index rose to 49.9 from June’s 49.4 and with input costs rising for a fifth month it could move above 50 in August. Despite the discounting, a PMI covering the bloc’s dominant service industry fell to 53.8 from June’s 54.4, well short of expectations for 54.2, while a factory PMI also missed the median forecast for no change, dipping to 52.2 from 52.5. An index covering manufacturing output, which feeds into the composite PMI, nudged down to 53.4 from 53.6.
the whole union crashing down. That has made the bloc’s goods cheaper abroad but done little for demand. “The weak euro is not bringing all the benefits that everyone was hoping for … but on the other hand there is very weak demand in many parts of the world,” Williamson said. The manufacturing export orders index fell to a five-month low of 51.8 in July from 52.7. The business expectations index — which measures service firms’ optimism about the year ahead — was at its lowest point this year, plummeting to 61.5 from 63.0. #AceMarketsNews – HONG KONG (Reuters):July.23: Asian equities stumbled on Friday after a survey showed China’s manufacturing activity crumbled to 15-month lows, rekindling concerns for the region’s exports as the world’s second-largest economy struggles to arrest a broad downturn. MSCI’s broadest index of Asia-Pacific shares outside Japan was down about 1 percent in early trading, on course for a weekly loss of more than 2 percent – one of the biggest slides this year. Financial spreadbetters expect Britain’s FTSE 100 to open down 0.4 percent, Germany’s DAX to open down 0.5 percent, and France’s CAC 40 to open down 0.4 percent. The flash Caixin/Markit China Manufacturing Purchasing Managers’ Index (PMI) dropped to 48.2, below economists’ estimate for a reading of 49.7 and the lowest reading since April last year. It was the fifth straight month below 50, the level which separates contraction from expansion. The weak PMI comes on the heels of some gloomy data in some of the biggest economies in the region. South Korea’s economy recorded its weakest expansion in six years for the second quarter, while Japanese exports to China were relatively weak, reviving concerns of slowing corporate profits across Asia. The Australian dollar, which investors use as a liquid proxy for risk in China, slumped to six-year low. Japan’s Nikkei stock index dipped about 0.6 percent, even though a similar survey for Japan showed improvement. The flash Markit/Nikkei Japan Manufacturing Purchasing Managers Index (PMI) rose to a seasonally adjusted 51.4 in July from a final 50.1 in June, suggesting economic growth is picking up after an expected slump in the second quarter. “Japan’s PMI was good, but Japanese stocks are reacting more to China’s,” said Ayako Sera, senior market economist at Sumitomo Mitsui Trust Bank in Tokyo. “Everyone is concerned about the state of China’s economy, and this reaction shows that market is very sensitive to information like this,” she said. On Wall Street overnight, downbeat corporate earnings reports sent U.S. equities lower, with all three major U.S. indexes logging solid losses. “U.S. equities are looking ripe for a long-awaited correction and that should keep investor sentiment towards Asia cautious though Chinese and Japanese equities may gain tactically in the coming weeks,” said Kay Van-Pietersen, Asia macro strategist at Saxo Partners in Singapore. China looks set to further reduce interest rates and the amount of cash its banks must hold as reserves to try to keep its economy growing at 7 percent this year, which would be the slowest pace in a quarter of a century, a Reuters poll showed on Thursday. In currency markets, better-than-expected U.S. jobless claims put a floor under U.S. Treasury yields, adding to the dollar’s appeal, and giving further impetus to the monetary policy divergence trade. The monetary divergence theme – the Federal Reserve has its sights on raising rates while the European Central Bank and Bank of Japan are still deeply committed to monetary easing – is widely expected to favour the dollar in the long term. “News from Greece helped, but fundamentally speaking euro/dollar remains on a downtrend in the long run. European economic indicators and inflation data are not as strong as they were at the start of the year, and of course the U.S. is steadily preparing to hike rates,” said Shinichiro Kadota, chief Japan FX strategist at Barclays in Tokyo. The dollar was steady on the day at 123.91 yen, a day after weekly employment data showed that initial jobless claims declined 26,000 to a seasonally-adjusted 255,000, the lowest since November 1973. The euro was broadly flat on the day at $1.09760, after gaining in the previous session, as the Greek parliament approved a second set of reforms required to start negotiations with lenders in a bid to avert bankruptcy. In fixed income markets, benchmark U.S. 10-year yield was at 2.29 percent in Asian trading, compared to its U.S. close of 2.278 percent on Thursday with some analysts expecting ten-year yields to rise to 3 percent by the year end. Spot gold was steady on the day at $1,079.4050 an ounce, but on track for a weekly loss of nearly 4 percent, after marking its deepest one-day loss in nearly two years on Monday. Crude oil futures rebounded from multi-month lows recorded overnight, with U.S. crude up about 0.7 percent at $48.78 a barrel, after marking its lowest settlement since March 31. Brent added 0.4 percent to $55.51, after it settled at its lowest level since April 2 on Thursday, amid persistent fears about a global supply glut.